One day I was searching for a software product—an online helpdesk—when I stumbled upon a clever tactic that a startup was using to get users thanks to their (bigger) competitor’s popularity, and the more popular the competitor gets, the more users the startup gets. For any popular software, there are people who know about it but want to use something else, or they're using it and want to switch. Many of those people will search for "X alternative," where X is the only option with which they're familiar. 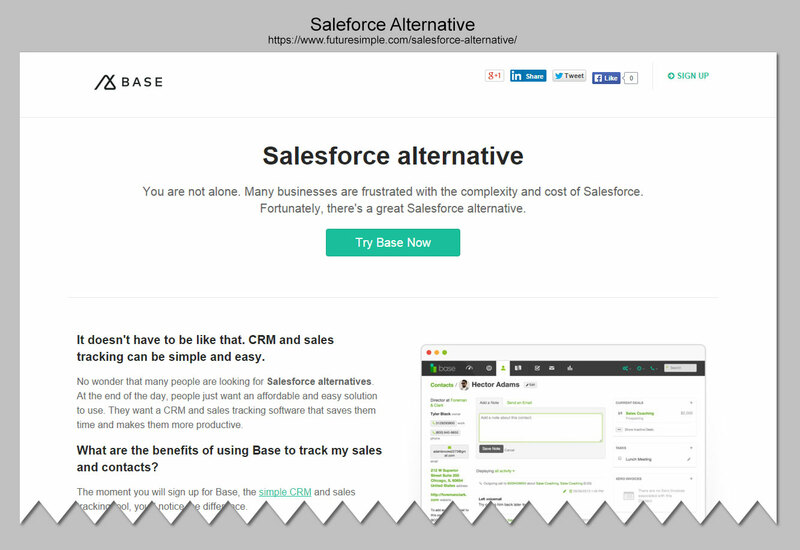 People searching for alternatives to a paid solution have the intent to sign up or purchase. With a unique "X alternative" page, not only can they attract this valuable traffic, they have a high chance of converting them into users because the messaging hits right at the heart of why someone might not want to use X. For example, "X's pricing tiers aren't fit for us," "X doesn't have a feature I need," and so on. The more popular X gets, the greater the volume of people searching for its alternatives. In short, they’re using a competitor’s popularity to get themselves more visitors and users. Seems genius, but I was curious whether this was effective. 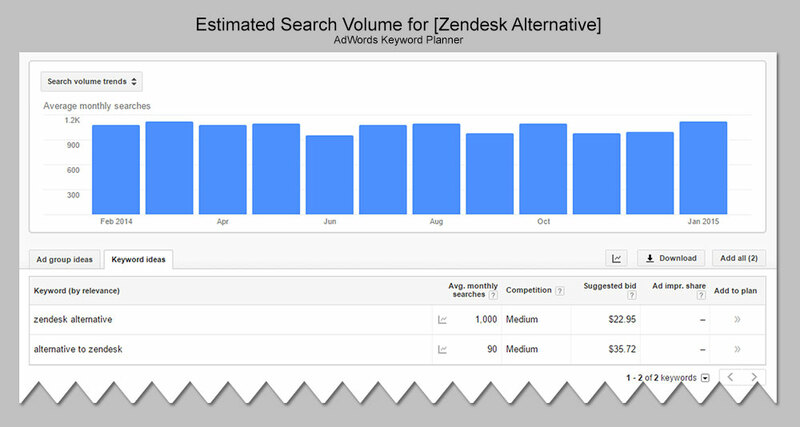 To find out, I used Adwords Keyword Planner to estimate the average monthly searches for the phrase [zendesk alternative], which is 1,000. According to multiple studies (here’s one), about 73% of searches result in a click, and the first organic (non-paid) result gets about 32% of those. That means whoever has the top spot for [zendesk alternative] is getting about 230 visitors every month from that keyword alone. Remember, those visitors are actively looking for a solution other than Zendesk! They have the intent to try something, and are far more likely to sign up than the average visitor. Sidenote: You can use the “Suggested bid” number from the screenshot above to estimate that getting 230 visitors/month using AdWords would cost over $5,000/month. The cost for those visitors if you’re the top search result: $0. The first client where I applied this tactic was Scalyr, an operations analytics tool. It’s a fast-growing product in a competitive market, with several popular alternatives ranging from free-and-open-source to enterprise-behemoths. The first step was choosing an alternative to compare against. Based on user feedback and an assessment of the market, we decided to start with Splunk—one of the most popular solutions in that space. 1. Find the best keywords to target. I used the Adwords Keyword Planner again to estimate the monthly search volume of various keywords. You can use it to get new keyword ideas or to check search volume of a list of keywords. From the list I checked, the most popular search phrase was [splunk alternative], with 880 average monthly searches. Sidenote: In most cases, [X alternative] will be the most commonly searched phrase, where X is the competitor name. There must be at least one reason why the person is searching for (or is looking to switch from) an alternative. Your likelihood of converting that visitor into a user is directly proportional with how well you address those reasons. I collected feedback from users, talked with prospective users on Skype, and got market-specific insight from the Scalyr team. 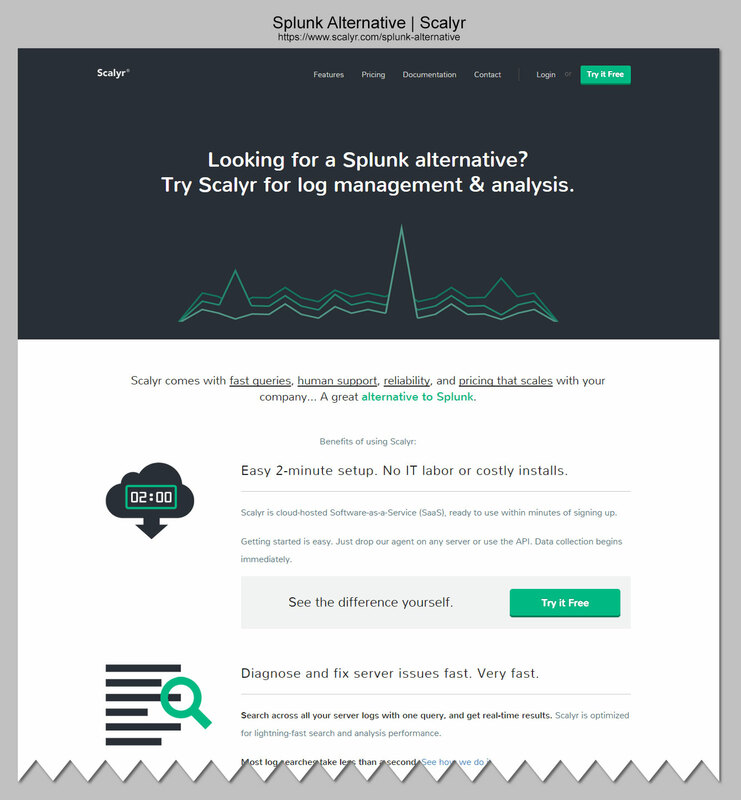 In the end, we came up with the main points to get across on the alternative page, which we felt would be relevant to people who searched for [splunk alternative]. 3. Optimize the page for search ranking. Keep the page title (<title> tag) short, and start it with [X Alternative]. Keep the URL short and include [X Alternative]. Include [X Alternative] in the page heading (<h1> tag). Throughout the page, include just a few more mentions of X (the competitor). Don't stuff it everywhere. Build the page's credibility by linking to it from your homepage, using "X Alternative" in the link text. The alternative page now accounts for 11% of all visitors from search. It also accounts for 10% of trial signups from search. Although there’s still room for improvement (better ranking and higher conversion rates), the experiment was a definite success. I’ve since helped other companies apply this tactic of alternative pages with equally good results. If your product or service has a popular alternative, you can try this yourself and benefit from their popularity—or you can ask me for help. And the more popular they are, the more traffic you get! Each of them is getting thousands of dollars’ worth of quality traffic, for free, thanks to the popularity of their competitors. 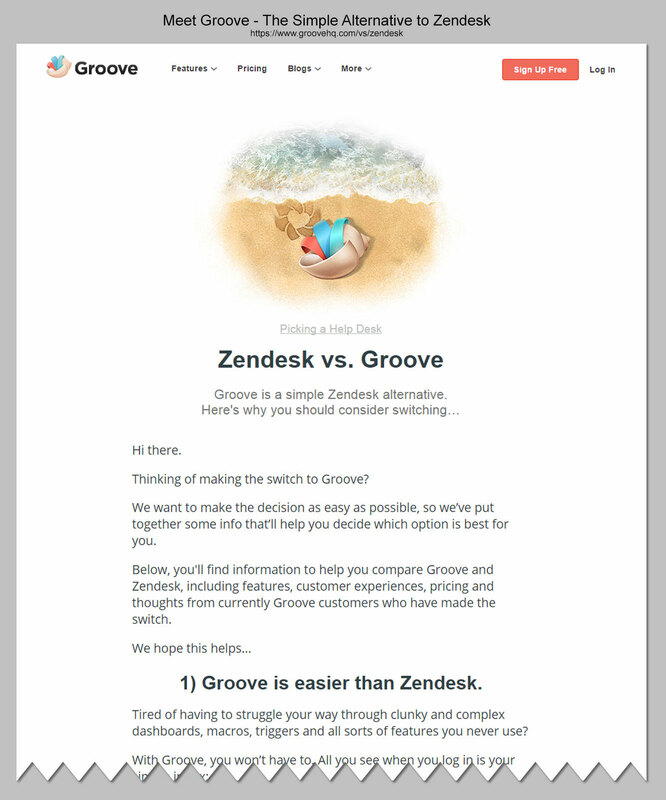 Groove’s alternative page is also optimized for the keyword [zendesk vs groove]. This is only worthwhile if people actually search for that phrase, which is only likely to happen if you’re well known. 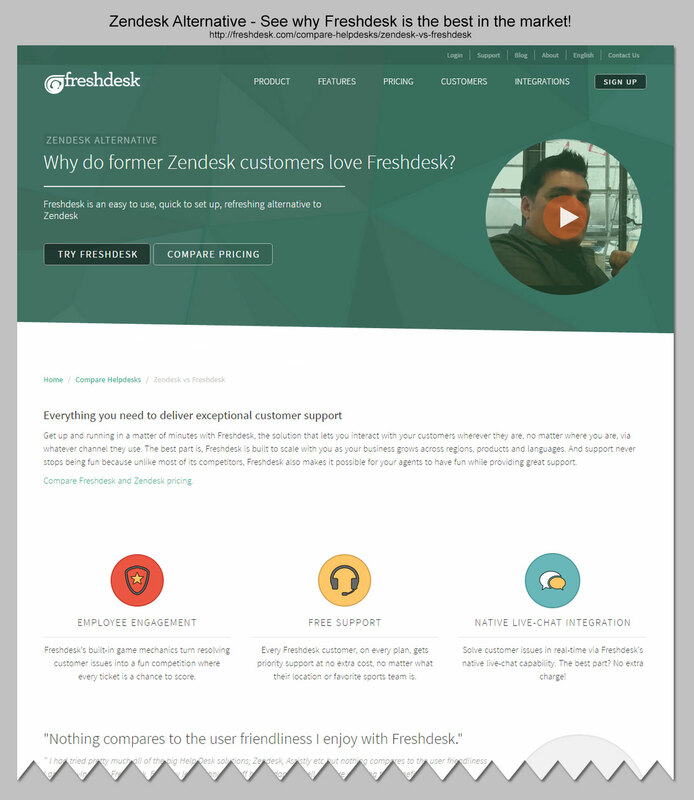 The pain point they’re addressing is Zendesk’s overwhelming features, as some may see it. 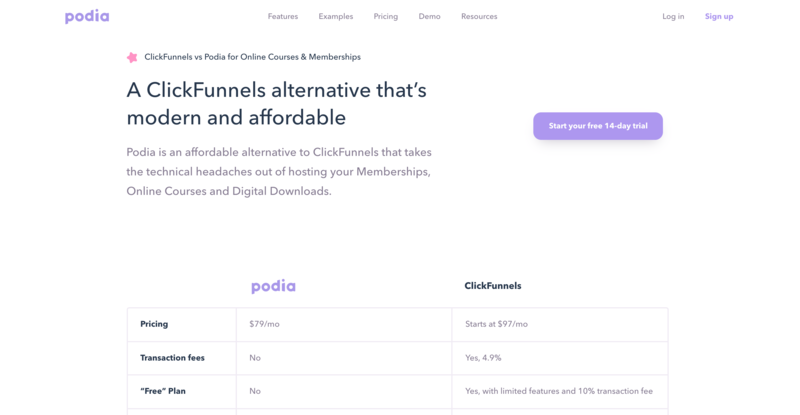 Notice how the comparison table immediately conveys the lower cost and additional features that Podia offers when compared to ClickFunnels. 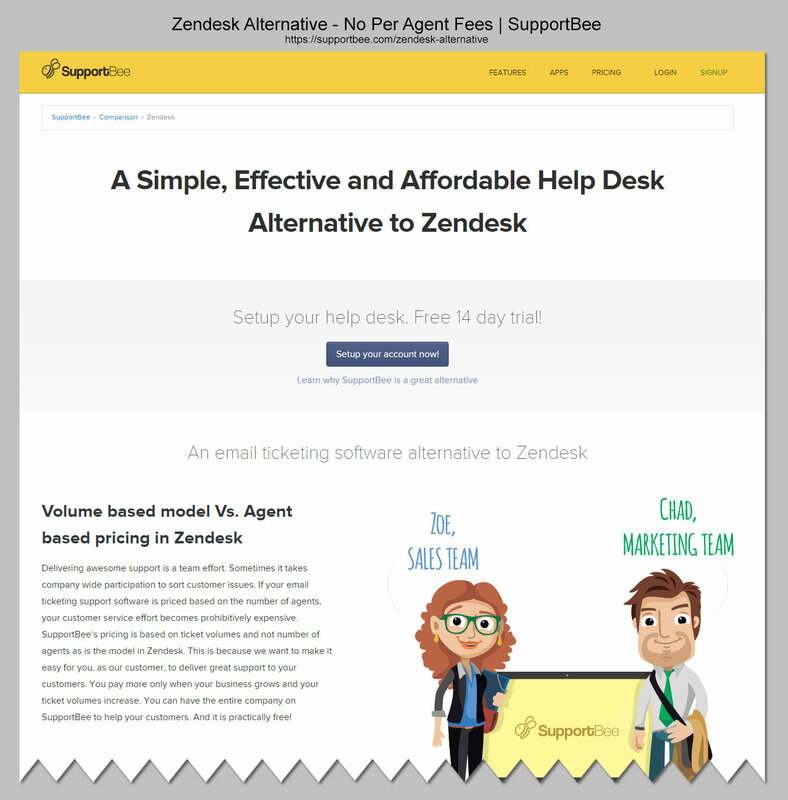 SupportBee’s alternative-to-Zendesk page hits at another perceived pain point: Zendesk’s pricing model. 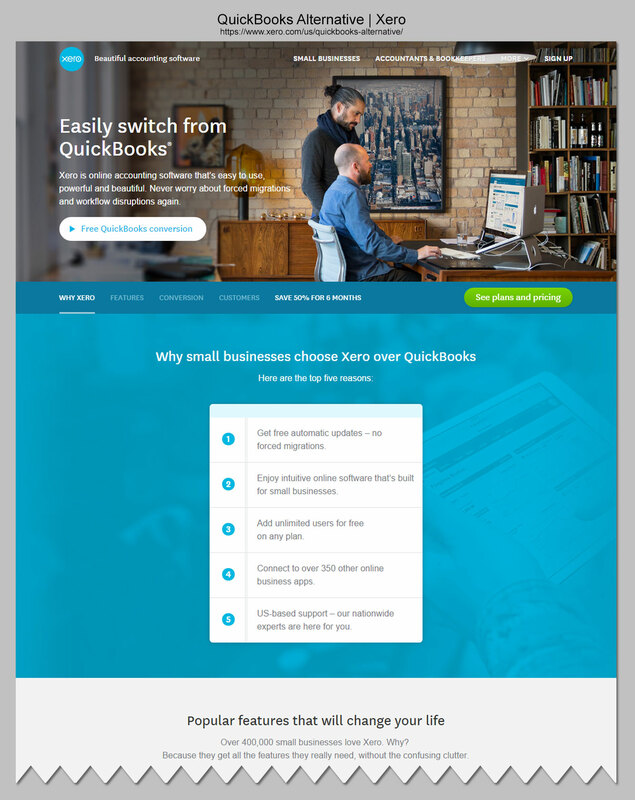 You can bet that Xero’s “top five reasons” to switch from Quickbooks came as a result of user feedback, interviews, and market research. 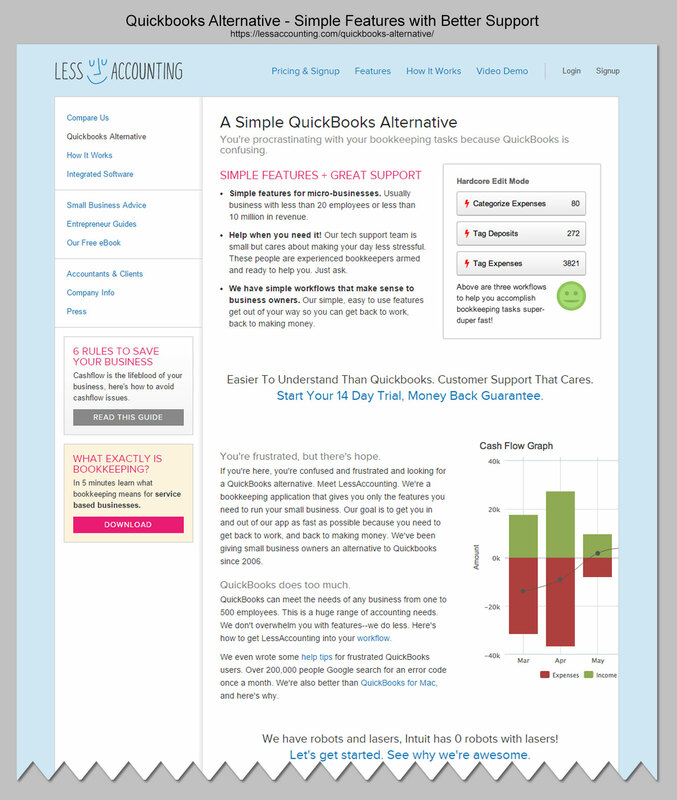 Notice the special discount and a button for importing data from Quickbooks, which helps push people into trying Xero. Base isn’t beating around the bush: They know that people who search for a Salesforce alternative are probably looking for something cheaper and less complex. Having this alternative page means they can write a headline that speaks directly to that person. Now you, too, know how to take advantage of your competitor’s popularity to get more customers.